Watch videos’ testimonies on our Youtube channel! Check pictures’ testimonies on Instagram! Read brief testimonies’ text here! And share your testimony too! Watch our video tutorial and found out how! Intensification of extreme weather event, floods, sea level rise, desertification and drought, etc. caused by climate change are further environmental stress factors that influence global phenomenon of migration, would they be internal or international migration. As the World Watch Institute’s State of the World report (2013) shows, loss of land, threat to livelihood conditions, instability and decrease of food production, as well as, increase of food price for example results in increasing seasonal and long term migration. The UN International Organisation for Migration reports that most cited estimate states that there could be over 200 million environmental migrants by 2050 which corresponds to the current estimate international migrants worldwide. 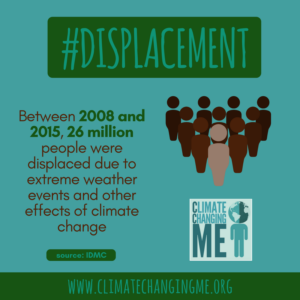 In 2015, the Internal Displacement Monitoring Centre (IDMC) estimates that an average of 22,5 million people (62,000 people every day) were displaced each year since 2008 because of climate or weather related events. 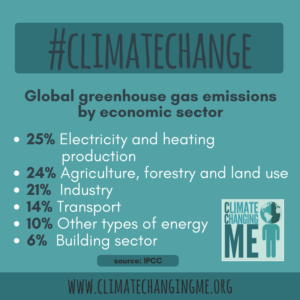 The greenhouse gas emissions related to human activities on earth are directly impacting on environmental and meteorological system of our planet. Current concentration of greenhouse gases (GHG) in our atmosphere is about 430 ppm (particle per million) of CO2 equivalent. Global level of CO2 concentrations have passed 400ppm. Before the industrial revolution there was only 280 ppm. Secure level used to be set at 350ppm by most climate scientists. The evidence is clear: human activities are responsible for this steep increase, unprecedented in the history . The cost of stabilizing Green House Gas (GHG) concentration at max 500-550 ppm CO2 is estimated at about 1% of the world’s annual GDP. It is high, but nothing compared to the expected losses in the absence of further action to deal with climate change: the OECD estimated that by 2100 there would be a GDP loss between 2 and 10%. According to IRENA, doubling the share of renewable energies would reduce the monetary costs of externalities related to the use of fossil fuels by at least USD 1.2 trillion per year (4.2 trillion by 2030), and save up to 4 million lives annually. On the other hand, according to a research published in the scientific journal Nature, in order to keep global warming under 2°C, 82% of coal reserves, 49% of gas and 33% of oil must be kept in the ground. 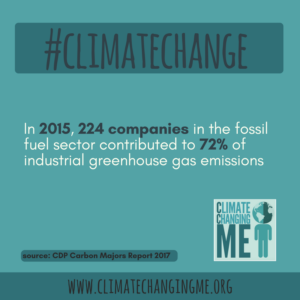 ClimateChangingMe aims to collect the many voices of those around the world who want to act for climate justice, and tell how climate change is already changing our lives. Climate change has become a global phenomenon that impacts on everybody’s lives, yours included. Tropical climate, the increase in temperatures, the melting of the glaciers, desertification, drought, the rise in sea levels, coastal erosion, floods, extreme weather events, are only some of its impacts. Climate change also causes migration, conflicts and wars over natural resources. While every corner of the world is impacted by this phenomenon with varying consequences, national governments and international institutions are not proposing any courageous solutions that put the defence of the planet over financial and trade interests. 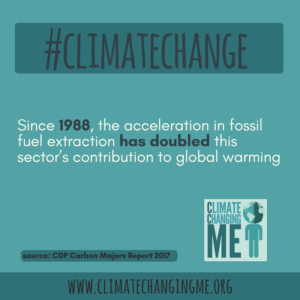 This is the reason behind ClimateChangingMe, a campaign that links young people from all over the world. It is aimed at gathering testimonies on the impact of climate change on personal lives, so as to push decision makers to adopt more incisive energy, environmental and industrial policies in their own states. We are environmental activists from different parts of the world. We designed the international campaign #ClimateChangingMe launched during the COP 23. The campaign aims to give a voice to all those ordinary citizens of the world who are impacted by climate change, yet often feel powerless and unheard. We have started this joint and inclusive journey as we believe it is urgent to connect the diverse experiences of the world, so as to make environmental and social justice the main pillar of a shared action that can bring about positive change: Change the minds, change the system, not the climate! 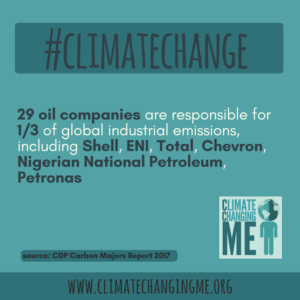 The international campaign #ClimateChangingMe originated from the collective work of young activists from four environmental organizations in Ecuador, Bulgaria, Nigeria and Italy, who took part in the Clim’Act Camp in Rome, a six-day summer camp aimed at strengthening their capacity to design and implement campaigns on climate change. Ecuadorian organisation created in 1989, it is a leading climate and environmental justice organization in Latin America. 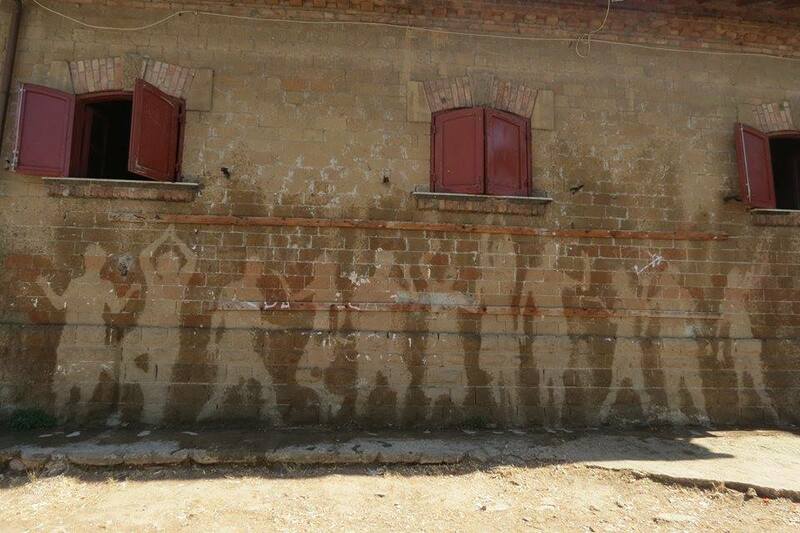 Created in 2003, A Sud promotes environmental justice in Italy and at international level and supports impacted local communities involved in environmental conflicts. Member of the network Ejolt. Organization created in 1993, ERA is among the largest environmental justice organization in Nigeria, accounting over 2000 volunteers all over the country. ERA is member of Friends of the Earth International e di Oilwatch. Created in 1995, ZaZemiata is leading environmental organization working in Bulgaria for the development of sustainable alternatives to the fossil fuel energy model. Member of Friends of the Earth Europe. Yasunidos is civil society movement that diffends the Yasuni Park, world biosphere reserve, from fossil fuel extraction. The relentless race towards growth in the world’s most industrialized countries and a culture of immediate and limitless consumption driving a growth spreading all over the nations, are based on an infinite exploitation of natural resources, which is already showing its catastrophic impact on the earth’s ecological equilibrium. Mining, extractive and emitting industries, coal, oil and gas combustion, deforestation, intensive livestock farming, changes in land use are among the most destructive practices of this unsustainable development model. They are also the main causes of greenhouse gas emissions and the increase of global average temperatures, intensifying the phenomenon of climate change. Politics lack binding measure to protect the people and nature. Global governance did not yet manage to establish sufficient means to intervene in a timely and efficient manner. The environment and climate treaties, from Rio 1992 onwards, have not led to strong binding commitments for the signatories, in particular in emission reduction, due to the idea that national sovereignty is an untouchable principle. The response of the world leaders has been totally inadequate to the challenge ahead. Climate change policies, rather than questioning the activities that cause these phenomena, only identify quick-fix solutions, This is part of a vision of the world, based on the limitless exploitation of resources, on wealth accumulation and power in the hands of a few people. Many mechanisms or technologies implemented to tackle climate change represents false solutions (bio-fuels, geo-engineering, synthetic fertilizers, genetically modified seeds resistant to climate change), are only a few examples of this diverting operation. These false solutions, often hidden behind the name of green economy, respond to economic interests instead of truly address the emergency to protect our planet. In this context of contrasting interests, each of us is threatened and feel the impact of climate change. Those most vulnerable are already paying a very high price for the consequences of climate change on their lives. With different range of intensity, it is increasingly affecting all of us, including all natural species, animals, plants and ecosystems. Climate change calls for 1 priority action: SHUT DOWN emissions. To do so, the dominant energy, exploitation and production models should be radically changed. Also, high biodiversity areas should be preserved, smart mobility promoted, damaged territories cleaned up, overbuilding should be stopped. As such, public and participated management of resources and ecosystemic services should be guaranteed, etc. In the light of the failures so far attested by recent information acquired (thanks to the Mauna Loa International Atmospheric Observatory – which recorded an increase in the threshold of 400 ppm of CO2 in the atmosphere since 2015 (when its maximum limit would be 350 ppm), – it is imperative to rethink future actions that could guarantee the survival of our ecosystem, leaving the current path behind and starting a radically different one. Among key issues, It is time to adopt a new approach when planning our energy future. The introduction of energy efficiency measures, the development and deployment of new, clean renewable and safe energy technologies is an imperative that is not delayed. Ignoring our existing alternatives, we risk more than we can afford. The dependence of fossil fuels brings us only air pollution, bad health, energy poverty and more. In order to build effective solutions, it is necessary to start from individuals and local communities as pillars of international political choices. For this reason, international collaboration is vital among organizations, associations, collectives and informal groups that work on or are committed to the protection of the environment, and acknowledge climate and environmental justice as fundamental elements of social justice. It is also vital to show that a shift towards different lifestyles, that are respectful of the environment, needs to start from ourselves. This is a tool for a real change in the society we live in. We therefore need to build networks of knowledge, empathy and mutual support among different groups, with different geographical and cultural origins. This shows how unity, cooperation and the will for change are fundamental elements in the protection of our planet and all human beings. 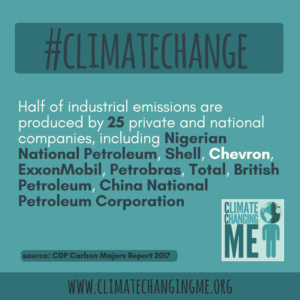 In order to start a network, we have designed the international campaign Climate Changing Me. The campaign has been created by a group of young activists from different countries gathering the international experience of social and environmental organisations in Europe, Asia, America and Africa. This international framework helped the campaign to provide different and wider perspectives on climate justice, claiming for more space for civil societyin independence from states and companies. 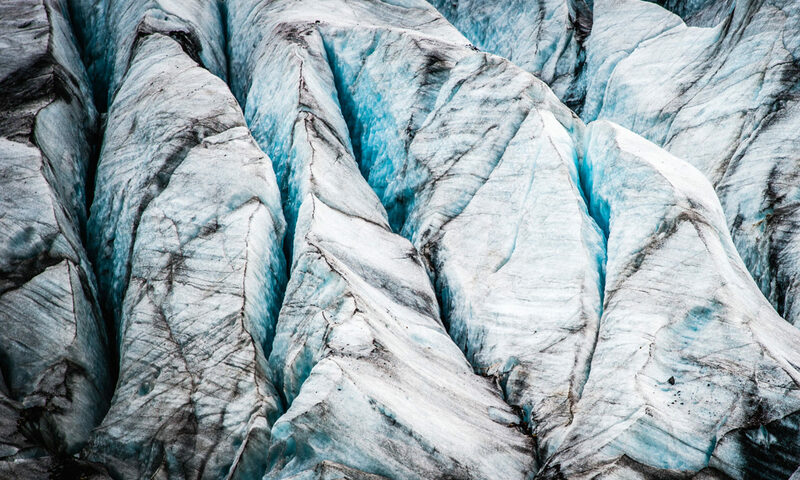 The debate on contrast to climate change can be often seen as a top-down undemocratic decisions that do not take into account the voice of the affected population. We question the readiness of global governance and economic powers to building the radical change that is needed to tackle climate change. That is why we strongly believe the alternatives are in the hand of the people and that more democracy in climate change decision making is urgent. To overturn the dynamics that brought us to the brink of climate disaster, we need to start by giving voices to those that are not heard and providing tools for mobilising to citizens, communities and youth in particular. Our first campaign action wants to give voice to those who experience climate change and think they have no power of intervention. We aim to gather testimonies of those who suffer directly the consequences of climate change (to enhance the voice of the world’s citizens unheard by politicians), who feel powerless and believe they cannot make any difference. Through this manifesto, we appeal to all the individuals, organisations, associations, grassroots, formal and informal collectives active in environmental and social justice to join us in this intend (promote together a first collective action through the campaign Climate Changing Me) by supporting the campaign on social media, organise direct actions, events and forums and extend this call to further many other groups around the world to keep rising our voices for a real shift in this system! Follow the campaign activities on Facebook!